When was the last time you had revamped your bathroom? What? 2 years ago? Well, that’s a huge gap! 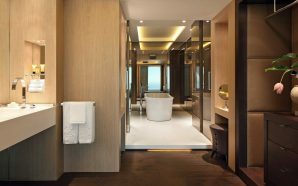 And your decision of keeping your bathroom untouched for the past 2 years is definitely not wise; after all, the bathroom is one of the most important rooms of the house, and of course, the most trafficked one as well. Hence, it’s your duty to take care of its aesthetics as well as to keep it organized. And believe it or not, the value of your home depends a lot on the appeal of the bathroom. So, don’t keep it unappealing; take out some time and make it look stunning, just like your other rooms. In case you are thinking that to renovate a bathroom, you’ll have to change every single element present in it, then that’s your misconception. Instead, all you need to do is focus on the bathroom vanities and give it a makeover so that it looks new-like. Wondering, why am I focusing on the vanity cabinets instead of the other elements present in a bathroom? Well, it’s because discount bathroom vanities are said to the main element of a bathroom which plays a vital role in making or breaking its look. Hence, the moment you alter the look of the vanity cabinets, it is definitely going to bring a massive change in the overall look of your bathroom. Now, unlike the other interior designers, I wouldn’t suggest you change the appearance of the bathroom vanities by changing its color or the hardware (that’s so common!). 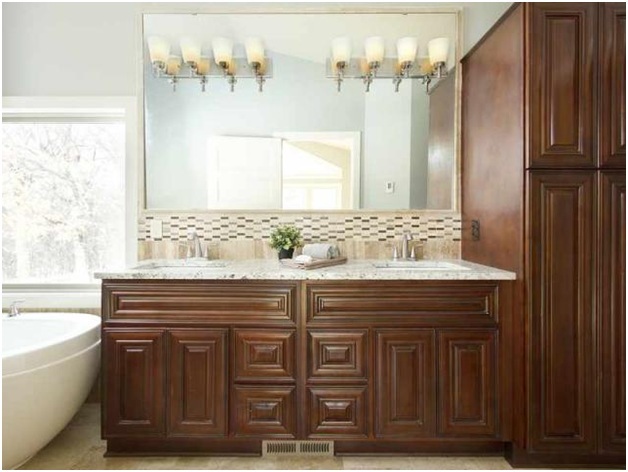 Instead, I’m going to share some other tricks with you that will help you to make your vanity cabinets look better than before, which in return would give your washroom a new look. So, are you ready to know about those tricks? If yes, then read on. People think that only the cabinets are the major elements of a bathroom vanity. But believe me, there’s another element that’s quite important and plays a vital role in making the vanity look absolutely classy or appealing, and that is none other than the vanity top. 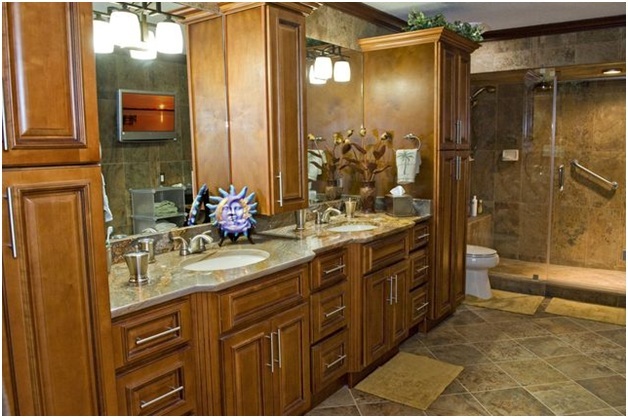 Hence, to upgrade the look of your bathroom vanity, please make sure you change the vanity tops. Additional Tip: Along with changing the vanity top, you can consider changing the backsplash as well. 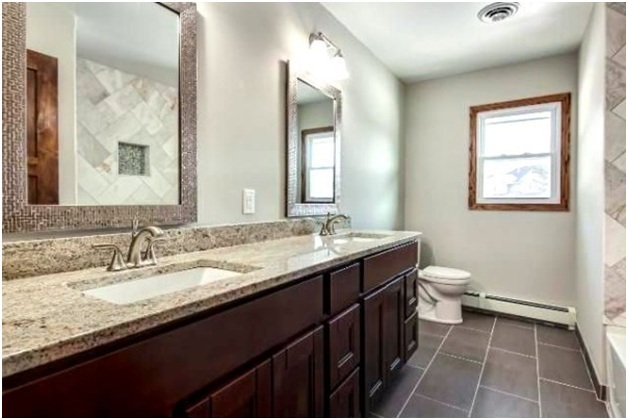 But yes, make sure the backsplash is complementing the vanity top really well. For instance, if you are purchasing a white marble vanity top, try installing backsplash having a marble-like texture only. Add 4 bulbs on either side of the mirror (total 8) to give it a vanity mirror-like look which generally, most celebrities use for decking up their washrooms. Add a LED Strip Light surround the cabinets discount bathroom vanities. Add a twin over mirror light. Add strips of LED lights inside the cabinets. These were a few ways in which you can fix lights to your bathroom vanity cabinets. So, choose the one that you think would go really well with your bathroom vanity and make it look classy or luxurious. One of the best ways to give your old and weary bathroom vanity cabinets an instant facelift is by changing their doors. If the doors are plain, shaker style wooden doors then opt for the glass ones, and vice versa. However, if you don’t want to change the doors then one simple thing you can do is fix mirrors over the cabinet doors. Believe me, it’s going to look chic! Well, changing the mirror of a bathroom vanity to make it look better than before is a very common trick. That is why I wouldn’t suggest you to do this. Instead, how about framing your existing mirror with a contemporary wrought iron frame or a vintage wooden frame? Sounds unique, isn’t it? So, do implement this idea. Don’t you think that bringing these changes in your bathroom vanity cabinets is quite simple and cost-effective? If your answer is yes, then do it now! And make your bathroom look “new-like”. For reading more blogs on bathroom or kitchen cabinets, keep following me.